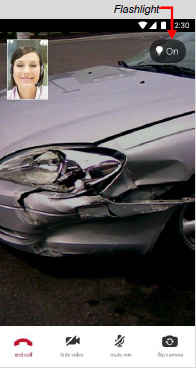 Allstate has launched Virtual Assist, a new Android and iPhone app which allows a collision repairer to videoconference with a remote Allstate adjuster. 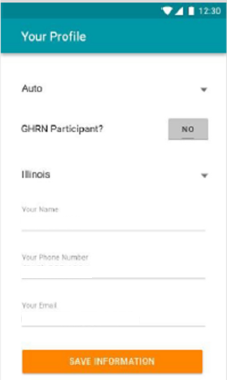 Inexplicably branded under Allstate’s telematics subsidiary Arity, the app can be used to seek supplements by all auto body shops in the country, not just Allstate Good Hands direct repair program facilities. Granted, a shop could just Skype or FaceTime an adjuster today, but “the difference there is you would have to set up an appointment,” Herndon noted. 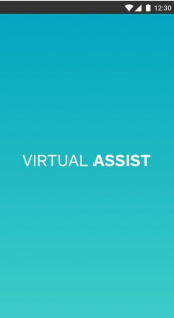 Virtual Assist, in contrast, is fully on-demand and staffed continuously from 7:30 a.m. to 7 p.m. Central Time with actual adjusters (not just untrained call center warm bodies), according to Herndon. As with Allstate’s remote QuickFoto Claim system for customers, the system is set up to match the user with an adjuster licensed in the relevant state if necessary, according to Herndon. He said other carriers might be using video as well, but he thought Allstate’s was the only on-demand option. 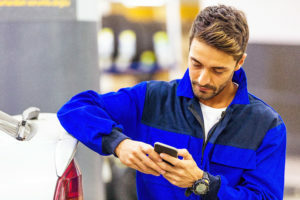 As a body shop representative can immediately reach an adjuster and just hold up the smartphone to show whatever additional damage needs to be documented, the appeal is obvious. There’s no need to take and email multiple photos or type out the issue. Cycle time won’t stall because of an adjuster out sick or on vacation, and there’s no email and phone tag issues on days they’re there. “We’ve had some crazy positive feedback on Virtual Assist,” Herndon said. There didn’t seem to be any issues in having adjusters other than those a shop might have more of a relationship with working on the supplements, according to Herndon. “I think that’s already happening today,” he said. Herndon said he didn’t know if the exchanges were recorded and saved for the claim file, though the adjuster on the other end would document it the same way as one today. The video calls tended to take less than 10 minutes, with the supplement typically resolved within an hour, according to Herndon. “Which is just incredible, when you think about the pure timing,” he said. He called that a “huge play” for a shop — the “pure efficiency” compared to a process that might have required possibly days of waiting for an adjuster to reach the shop and inspect the supplement-inspiring damage. Herndon wouldn’t say in the spring interview how many adjusters were manning Virtual Assist, but it wasn’t just “five people in an office, hoping that nobody calls” and scaling up for higher demand hadn’t been a problem. Ricky Shultz, owner of A to Z Body and Fender, praised the app in an interview Tuesday, noting during the interview that he was just about to send three supplements off using it. Under the old system, it might have taken days to get a supplement through, said Shultz, whose shop isn’t on Allstate’s direct repair program. “It’s a bad experience for everybody,” Shultz said. Now, an adjuster is “immediately” available to handle the supplement. “Nobody’s doing anything like that (in insurance),” he said. Shultz said he’d heard of opposition to Virtual Assist, but he couldn’t see the grounds for concern. He also dismissed the idea that remote adjuster might have an easier time rejecting him than one physically within the shop. “I think that’s ridiculous,” he said. If anything, the Virtual Assist staff seems “more cooperative,” he said. Occasionally, he had to submit photos he took during the Virtual Assist call for the insurer’s file, but he said that the system generally didn’t create that kind of redundancy (which would defeat the whole point) for his shop.